The Cockrell School of Engineering currently offers one minor and two certificate programs for undergraduate students. Students may also pursue minors and certificate programs offered by other colleges and schools at The University of Texas at Austin. A minor or certificate is not required for completing an engineering degree. The Texas Materials Institute, in the Cockrell School of Engineering and the College of Natural Sciences, administers the new materials science and engineering minor for students who are majoring in chemistry, physics, electrical and computer engineering and mechanical engineering. The business foundations minor is offered by the McCombs School of Business to non-business majors, giving undergraduate students the opportunity to take additional hours in accounting, management information, finance, legal environment of business, management, marketing and economics. Many Texas Engineering students pursue other minors offered at UT Austin, in foreign languages or other disciplines across campus. Planned carefully, pursuing a minor will not extend the time to degree for students in the Cockrell School of Engineering. Each minor requirement varies between 15 and 21 hours. Current students looking for policies and forms, visit ENGR Direct Students. Steady growth in computer capabilities and enormous expansion in the scope and sophistication of computational modeling and simulation have added computation as the third pillar of scientific discovery and have revolutionized engineering practice. Computational science and engineering can affect virtually every aspect of human existence, including the health, security, productivity and competitiveness of nations. The computational science and engineering certificate provides in-depth study and research in computational science and engineering, including computational and applied mathematics, numerical simulation, scientific computation and visualization. The humanitarian engineering certificate takes engineering for society to a new level, providing undergraduate students with a rewarding, multidisciplinary program that allows them to focus their learning around communities that need their help the most — from low-income populations to people with special needs. The program combines technical and non-technical coursework with project-based initiatives and includes course options in the colleges and schools of Liberal Arts, Communication, Natural Sciences, Engineering and more. The National Academy of Engineering set forth 14 Grand Challenges to address the world's most pressing societal issues that can be solved with innovative engineering, such as access to clean drinking water, restoring and improving urban infrastructure and making solar energy economical. This certificate program is tailor-made to fit participating UT Austin students and is designed to be complementary to a student's academic journey. 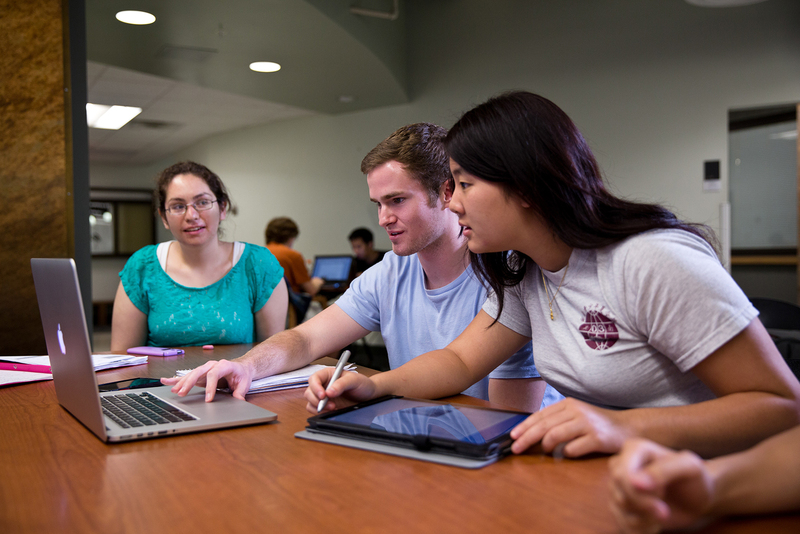 Through the UT School of Undergraduate Studies, this certificate program, which offers 11 certificate options, includes a course of study that integrates classroom, research and internship experiences. Students may focus in areas such as Digital Arts and Media, Ethics in Leadership and Health Care, Public Policy among many other areas.